Don't let the breathtaking beauty of the mighty Himalayas distract you. 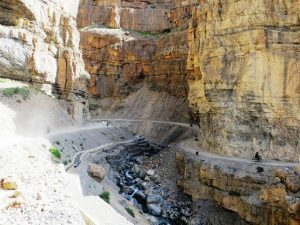 This region has few of the worlds most exciting places and our tours take you there. 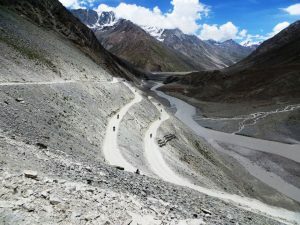 Pure white snow, raging rivers, deep valleys and tall peaks make for a roller-coaster ride of high-altitude single-lane roads, dotted with creek crossings, glacial melts and broken bridges. This is the real deal, and travelling through it demands fortitude of the highest order. Got what it takes? Thought so. We run 3 different motorcycle tours in the region. With full back-up support and fantastic accommodation. 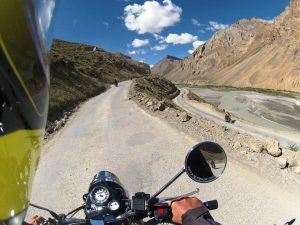 Our years of experience in this Himalayan region ensures that you only have to manage the thrills and the adventure. We look after the rest. Same itinerary as Him Grand-1, same adventure but a different start date. Just in case the dates of the first one don’t suit you.